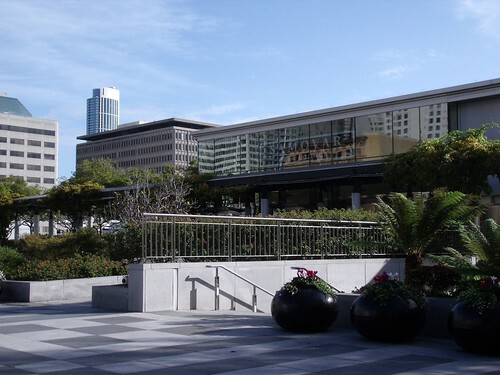 So I have to share another foodie find in San Francisco: Samovar Tea Lounge. I discovered Samovar through two recommendations: Heidi’s San Francisco List at 101 Cookbooks, and a tweet my favourite local tea shop — David’s Tea. And I am so glad I did! This was my amazing view for two of my lunches. 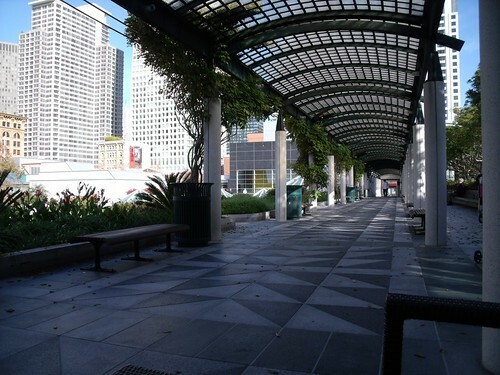 I was at the beautiful Yerba Buena Gardens location, and enjoyed sitting outside in December with my lunch and tea. 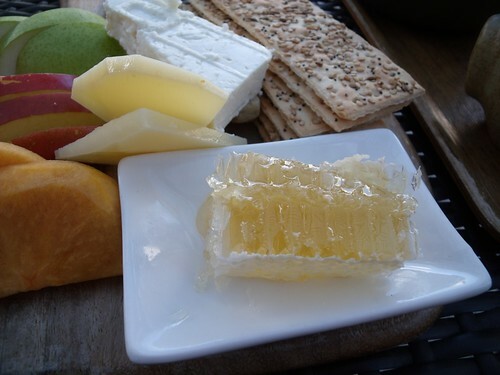 I enjoyed this amazing fruit plate with my favourite new combination: blue cheese and honeycomb. WOW. 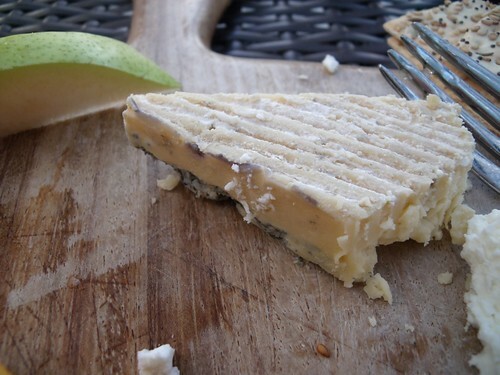 I intellectually understood the idea of blue cheese and honeycomb, but you have to try them together. Each flavour offsets the other — from the sharp stinky cheese to the almost-cloying floral sweetness of the honeycomb and back again. And a cup of tea blended for The Dalai Lama (cool! ): rooibos, honeybush, ginger, licorice, cloves, and cinnamon. I sat for a couple of hours on this gorgeous patio contemplating, relaxing, and recharging over a pot of tea. Perfection. Of course, I had to return to Samovar for another lunch to try something else off of the menu: two days letter I went back for a congee-like rice dish with tofu, seaweed, peanuts, green onions, carrots, and Sriracha. Part of the fun at Samovar is choosing the perfect tea to go with your meal. Along with this rice bowl, I had a pot of mint with cardamom, peppermint, ginger, black pepper, and a touch of green tea. Yum. Re-balancing and grounding after a too-late-night-out dancing at a Stevie Wonder and Will.I.Am concert. 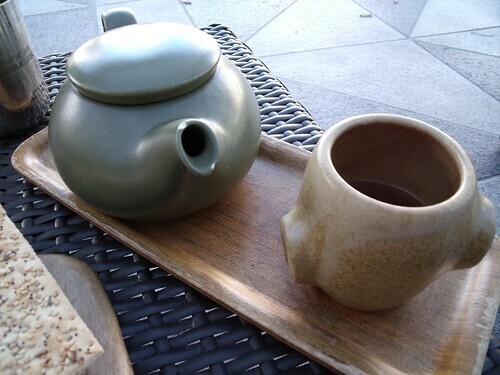 I had such a lovely time at Samovar, and managed to bring back a little bit of loose-leaf tea so I can have such contemplative moments in my own world. I can’t wait to go back again! If you’re in San Francisco, you must make sure to stop by! 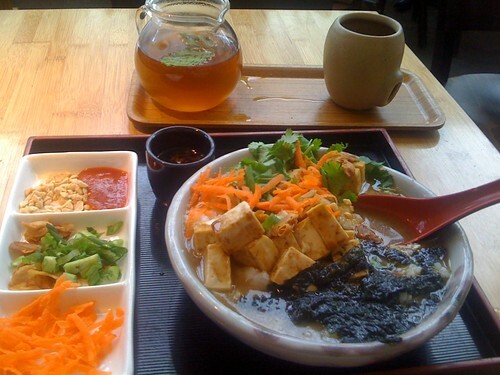 This place looks amazing, and the food oh my god! 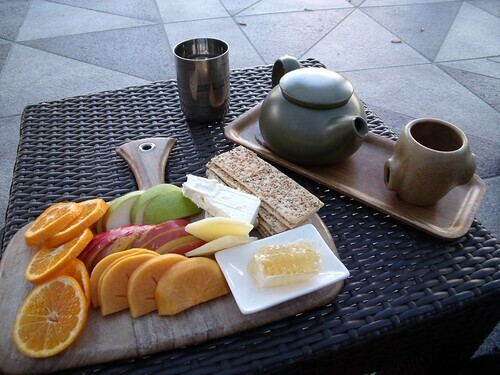 What with that and the choice of teas, I am sooo jealous. San Francisco is definitely on my culinary journey list now! This list just gets longer & longer, oh and I want your kitchenaid!! 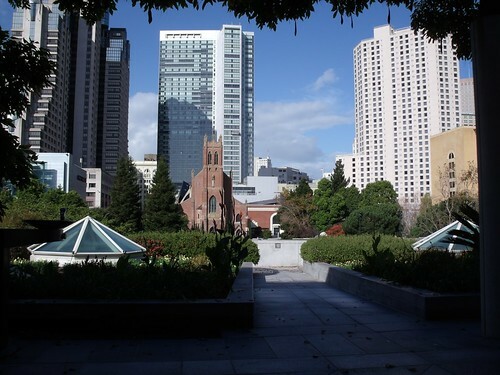 I really enjoyed my trip to San Francisco, and wish I’d abandoned the conference food and eaten out more! I’m going to try replicate some of what I had here at home, and will post when I do! Oh. my. God. 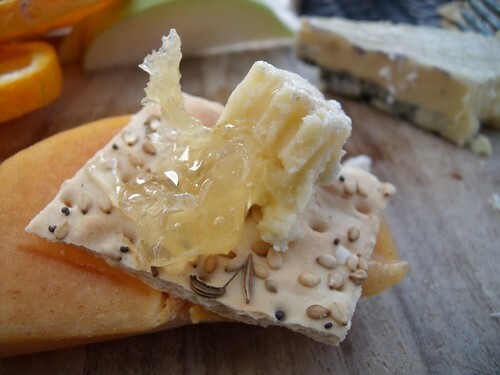 Honeycomb & blue cheese sounds absolutely divine! 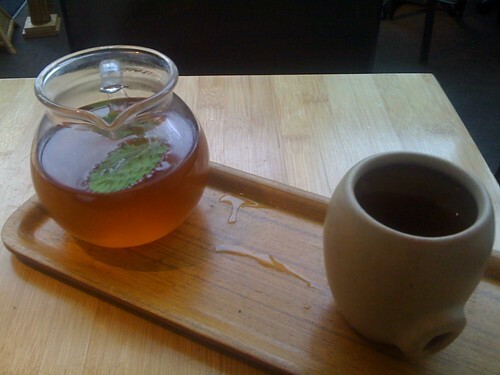 Thanks for this awesome post on Samovar Tea lounge, I want to check it out now! Erica — you MUST go and give it a try! Enjoy!